Pop star turned winemaker Pink has revealed that she will be releasing her first commercial wines under the label Two Wolves, having bought an 10-hectare vineyard in Los Olivos, north of Santa Barbara, five years ago. Pink revealed her passion for wine and vinegrowing last year in a podcast produced by UK wine presenter and writer Olly Smith and wine writer, educator and consultant Richard Hemming MW. Speaking about the project at the time, Pink, who’s real name is Alecia Moore, called it her “dirty little secret” having taken wine and winemaking courses with the Wine and Spirit Education Trust (WSET) and the University of California, Davis in order to achieve her goal. In a recent Instagram post, she revealed that she was the winemaker behind the Two Wolves label. It read: “Secrets out! Meet your maker. If there would’ve been a way to release these wines anonymously, believe me I would’ve tried to find a way to do it, because I really believe these wines can represent and speak for themselves. The love and passion with which they’ve come together reflects in their quality and their soul. “I’ve dedicated the better part of the last 10 years of my life (outside of raising children and touring) to my passion – winegrowing and farming organically. We are lovers of the land, hoping to leave this place better off than how we found it. In the spirit of experimentation, much like a child approaches every new task, in the quest for knowledge with all due respect to the past, and with every bit of fire that burns within us, we bring to you Two Wolves Wine”. Pink’s organic vineyard is planted with Cabernet Sauvignon, Cabernet Franc, Malbec, Petit Verdot, Grenache and Grenache Blanc, although she is taking out the Malbec as it hasn’t “blown her away”. 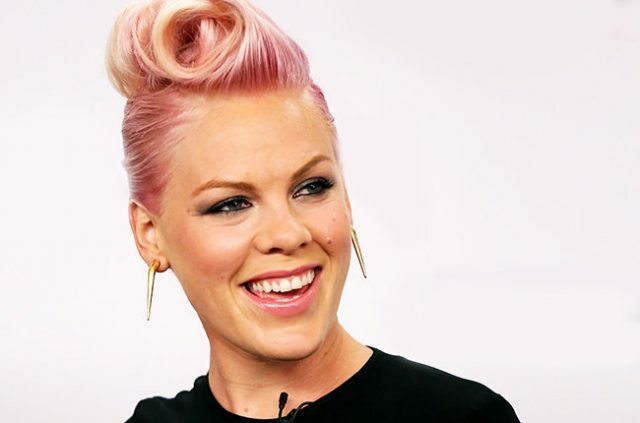 The first of Pink’s wines are expected to be released in November – and they won’t be rosé. Speaking to Food & Wine, Pink said that she already makes a Grenache rosé but that she refuses to release it.